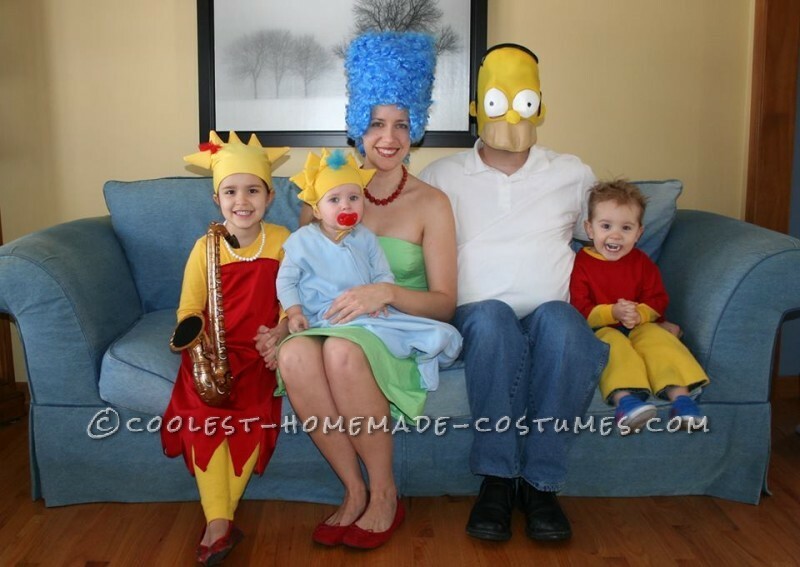 It became clear to me that after having our 3rd child, we had the right family configuration to replicate The Simpson’s! From there, a Halloween idea was born. The icing was finding a wig for Marge that I could stuff to stand out. Spray painted red beads, strung some white beads for Lisa out of old costume jewelry, bought some warm felt in that trademark yellow and wrapped the kid’s clothing in it for their “skin” color. Amazingly, I found yellow shirts to match at a second hand store. The hair was the trickiest. For Lisa, I used an old winter skull cap and sewed material over it, then bought Styrofoam mini cones and wrapped/sewed them to the cap. The saxophone was a fun touch…inflatable and found online. Lisa’s dress was made by me with some stretchy red material and I cut the zigzag at the bottom. 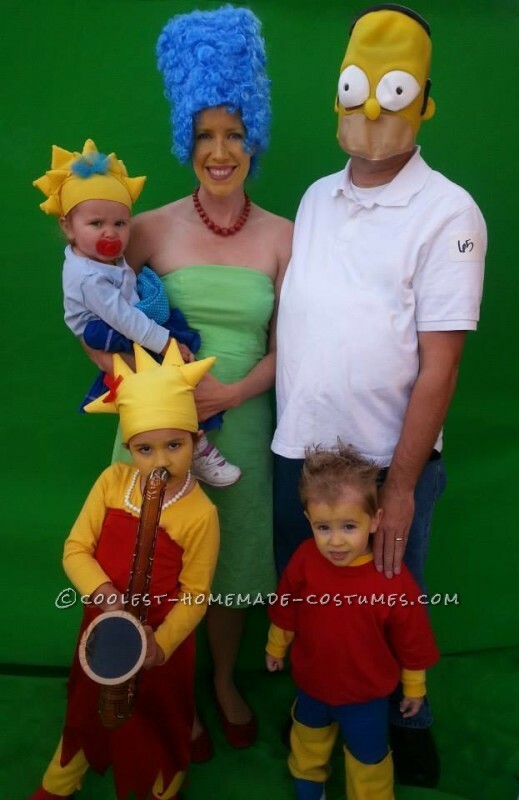 Yellow make-up for the faces, and Homer’s mask was an ebay purchase. Believe it or not, that famous red nuk was the most difficult to find! But, I got it and so Maggie was a happy baby. It took work, coordination, and convincing of my son who did not want to wear the yellow make-up, but I think it all came together nicely!